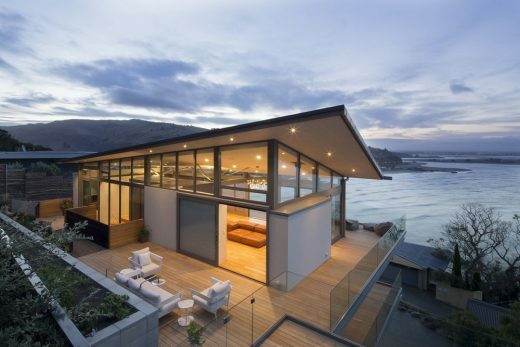 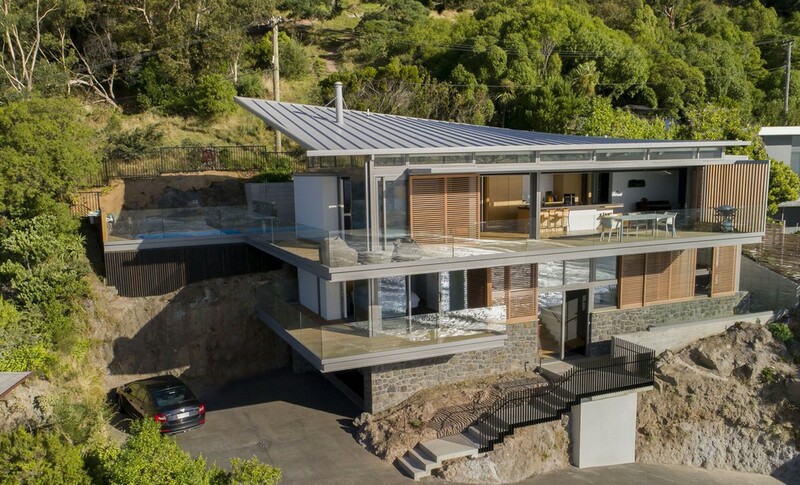 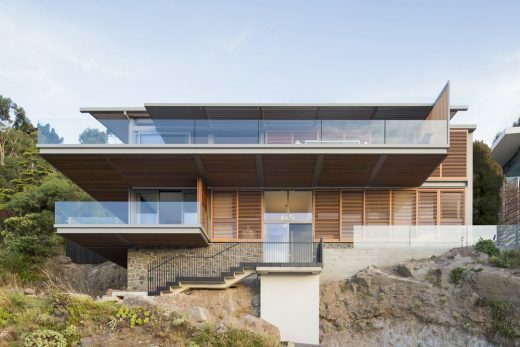 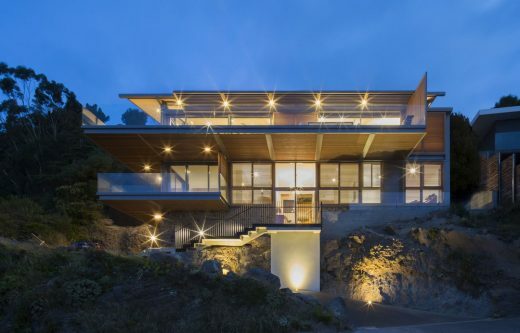 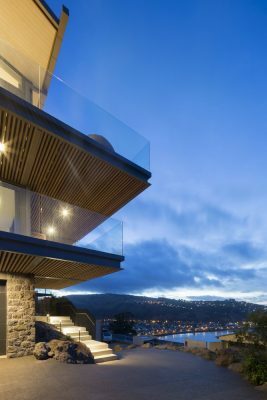 It is a modestly sized, relaxed, playful and environmentally conscious home on an extremely difficult hill site overlooking Sumner beach. 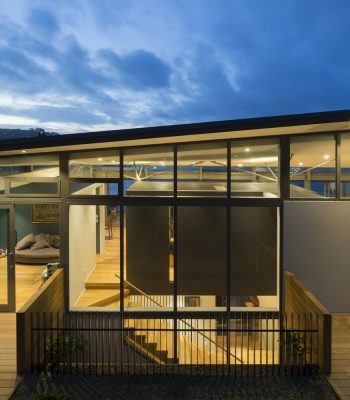 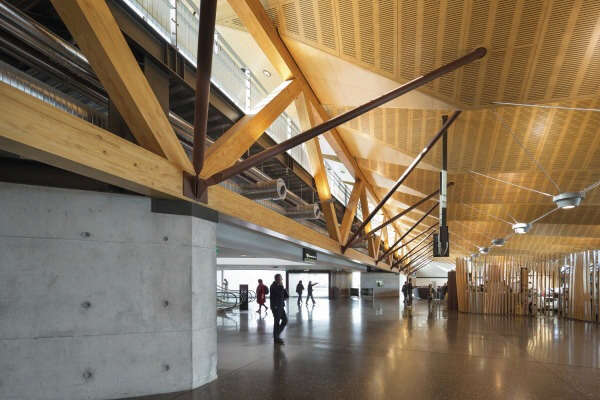 The house features a lightweight, sail-like roof supported on two tree-like timber and steel support structures and seemingly ‘floating’ above the space. 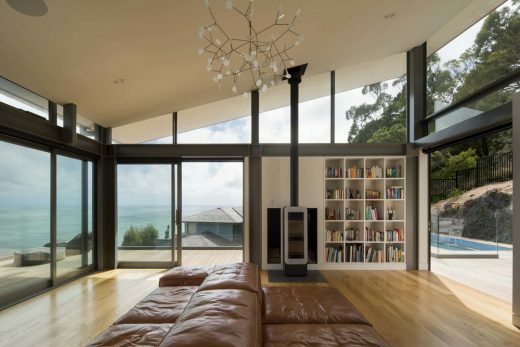 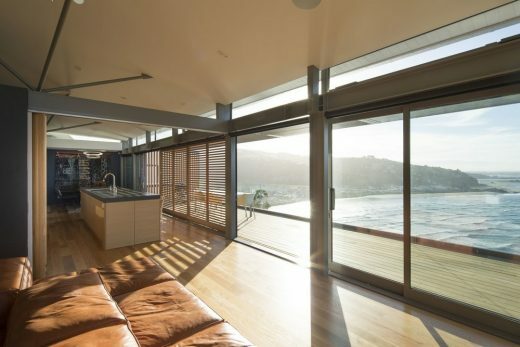 The brief given to Borrmeister Architects was for the following: a relaxed playful home open to the sun, capturing the views to the beach and to the uphill park, whilst also being environmentally conscious and providing shelter from the prevailing winds and incorporating easy driveway access and parking on an extremely difficult site. 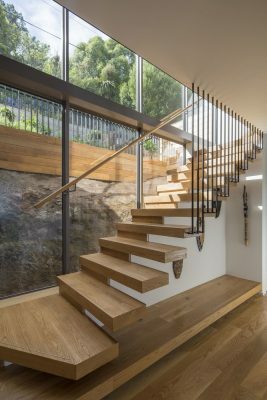 The key challenges were the very small and extremely difficult hillside building site with the only access via a very narrow private road. 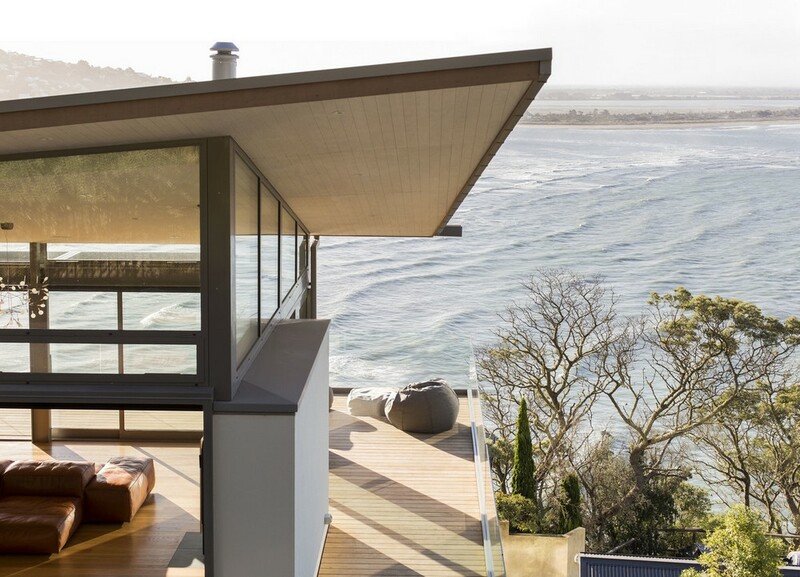 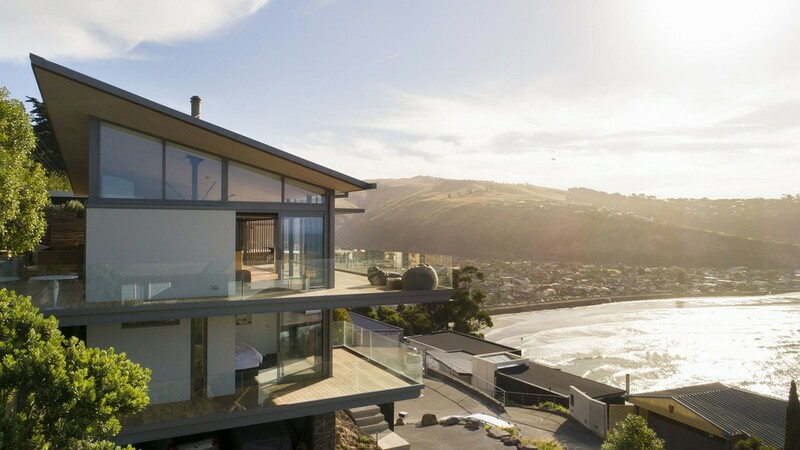 Opening up the house to the amazing sea, city and mountain views and providing sun control and protection form the prevailing winds at the same time. In order to tackle this extremely difficult site the house was designed around a strict 1.2m grid resulting in a very simple rectangular foot print, stretching over three levels. 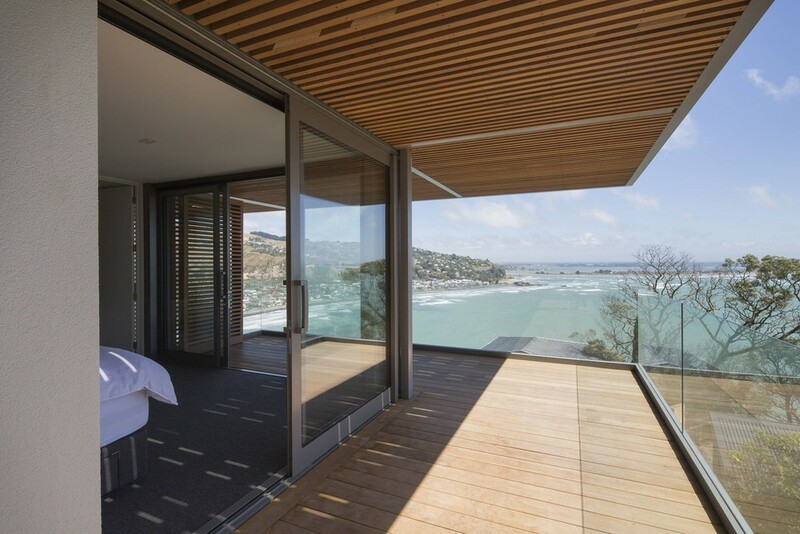 Mainly glazed façades facing the views behind cedar sliding screens, providing sun control, natural cross ventilation, cooling and privacy. 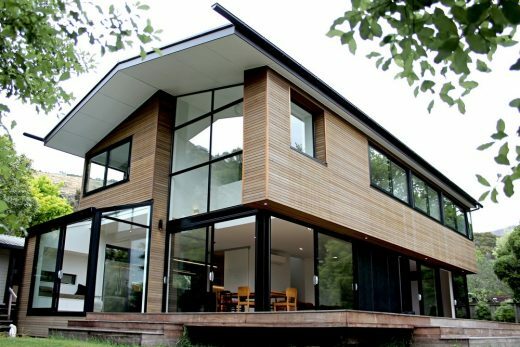 Solar panels, rainwater retention tanks, automatic overhead louvers, an ultra-low emission log burner, high level windows, sliding screens, low maintenance materials and the light weight, warped, sail-like ‘floating’ roof on tree-like timber and steel support structures designed to follow the daily sun path, answered the clients wish for an environmentally conscious home.